Picturehouse Cinemas has unveiled a new addition to their group of cinemas - Picturehouse Central, a 1,000 seat, seven-screen cinema on Shaftesbury Avenue near Piccadilly Circus in central London, due to open in late spring 2015. Extensive redevelopment plans of the Cineworld Shaftesbury Avenue have been granted full planning permission by Westminster Council and will transform the multiplex into the West End flagship cinema for Picturehouse. The plans include a complete renovation of the colonnade along Great Windmill Street and reopening the former entrance to the Trocadero Restaurant and Ballroom on the corner of Great Windmill Street and Shaftesbury Avenue as the entrance to Picturehouse Central. The ground floor will include a New York Deli-style café with capacity for more than 100 people and a grand staircase leading up to the first floor. A first floor café-bar will have views over Shaftesbury Avenue and seating for 100 as well as lobby access to the cinema screens. A double-height Members’ bar - open to members of all 19 Picturehouse cinemas throughout the UK - will be created on the second and third floors with a roof terrace and views over London. Holders of Cineworld’s Unlimted cards will be able to use West End membership at the new venue. As well as blockbusters, independent and classic films, Picturehouse Central will include a core programming strand dedicated to championing documentaries. The cinema will also show live HD broadcasts of productions from arts venues, such as the New York Metropolitan Opera and the Bolshoi Ballet, theatre productions such as the Royal Shakespeare Company Live from Stratford-upon-Avon and National Theatre Live, art exhibitions and filmmaker Q&As. Picturehouse Central also plans to have reduced screen advertising and will dedicate more screen time to trailers and short films. There are also plans to include All Day Tickets offering access to all the cinema screens across the day during festivals. 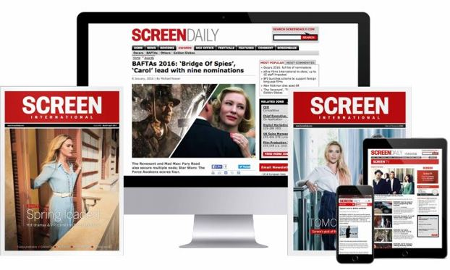 Picturehouse Cinemas won Exhibitor of the Year (50 Screens of Under) at the 2013 Screen Marketing and Distribution Awards.